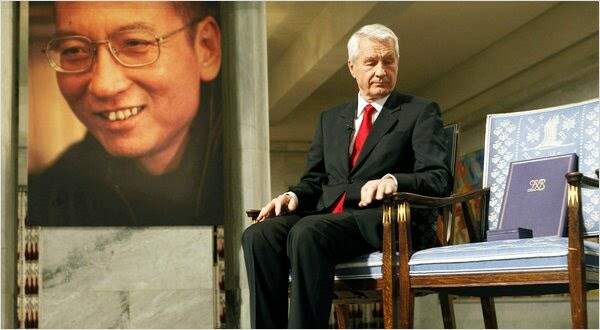 The Chinese dissident Mr. Liu Xiaobo, seen in a portrait, was awarded the Nobel Peace Prize on Friday ( December 10, 2010 ) in Oslo. The chairman of the Norwegian Nobel Committee, Thorbjorn Jagland, sat next to an empty chair representing Mr. Liu’s absence at the prize ceremony with Nobel diploma and Nobel medal placed on the empty chair during the ceremony in Oslo City Hall . 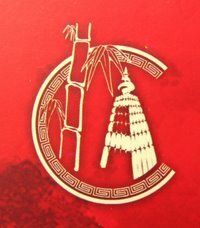 Mr. Liu is imprisoned in China and his close family members are forbidden to leave the country. It was the first time in 75 years that no representative of the winner was allowed to make the trip to receive the peace medal, a diploma and the $1.5 million check that comes with it.